It’s such a treat to go to high-end shops like Kuysen and wander around to see the luxury furniture brands they carry, like Zanotta, to name one. The magnificence of the designs, the materials used, and the melding of both to create furniture which is both functional and beautiful, make you want to bring them home. If you can afford it, good for you. If you can’t, don’t sweat it, just breathe in that luxury and dream on. In the video, you will see tables, chairs, armchairs and sofas designed by Carlo Mollino, Federica Capitani, Ora Ito, Damian Williamson, and Frank Rettenbacher. If you do get to bring home these high-end furniture, you would need your home to be ready to receive these masterpieces. For your walls, there is Virtuoso, Boysen’s luxury line that has a silky, matte finish which is the perfect backdrop because it allows the light to shine on your furniture. 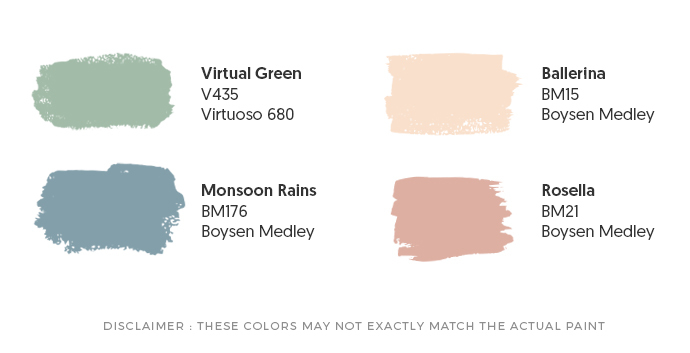 For the Zanotta furniture that you see in the video, these were the paint colors chosen for the walls. “With pieces displayed in over 40 museums around the world, no other furniture brand is as iconic as Zanotta. Among the leaders in industrial Italian design, it is as renowned for the range of its manufacturing technologies as it is for the precision of its handmade workmanship. Because timeless designs have found their place in the annals of style, owning a Zanotta is as good as owning a work of art, a piece of history. Read about the Duravit Luv Series for bathrooms.